Hectronic is a leading expert when it comes to efficient tank content management. Based on many years of experience and under the influence of new technologies the company now offers innovative systems solutions which sustainably help to reduce costs, facilitate logistics and assure continuous fuel supply. The customers’ requirements are high! Their expectations include reliable measurement of the tank content, exact data recognition and flexible connection to the desired host systems. 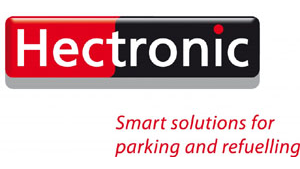 Not only for the individual petrol station but also for whole petrol station networks. With its OptiLevel solution for continuous fill level measurement Hectronic meets these expectations. The fill level monitoring probe HLS6010 is capable of measuring almost every liquid which does not affect the wetted parts made of stainless steel and teflon. It even masters the measurement of a deposited water phase with ethanol admixture easily and without mechanical impairments. A distinctive feature of the probe is the fact that it does not contain movable parts and is therefore not subject to wear. The customer benefits from a long lifetime at minimum maintenance costs. 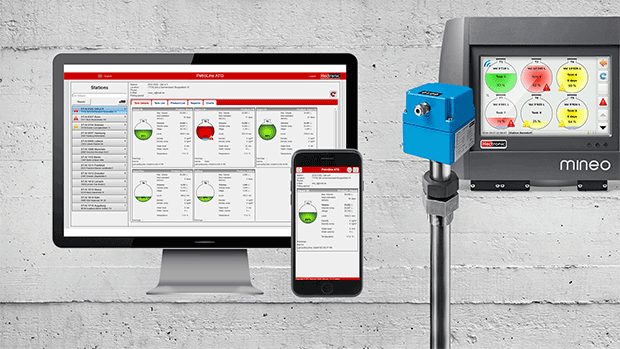 By means of the Mineo Controller Touch the tank data of the fill level monitoring probe are then read out, visualized at the petrol station in a user-friendly way and transferred to higher-level systems (cash register systems, petrol station controls, ...). Or to Hectronic’s cloud-based PetroLine ATG-solution. The tank content data of all connected stations can be retrieved online at any time and from any place. The whole logistics process is optimised. Thus, the forwarder can monitor the stocks online and decide how to organise the next delivery. Stocks and alarms are automatically sent by email, and the detection of fuel theft is also possible. The customer wants to integrate further systems? No problem! The great flexibility of the solution allows the integration of external leak detector systems or other tank content measurement systems. Major investments are not required, and the customer keeps operating independently. The carefree package when it comes to tank content management.